A sycamore watches over all of us, dappling us in shadows from its starfish shaped leaves. Small boys play rough and tumble in the drainage-cut on the side of the road. A team from Ohio leans against the chain link fence. They are made up of a few adults and a half dozen puffy-eyed teens ready to work all morning on nothing more than a mouth full of doughnut. 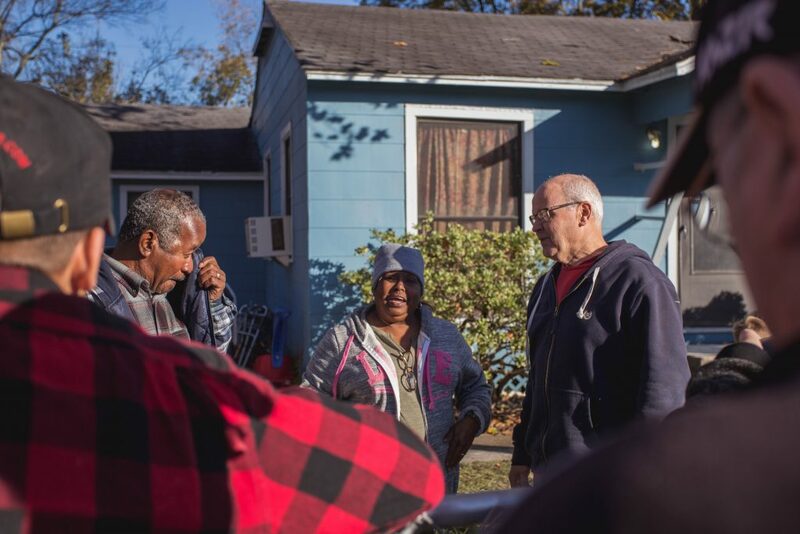 A few members of Bayou City Fellowship are there to organize things, take pictures, and play what role we can. Among our number is Khara Bong, whose heart has been overwhelmed for this community and is the reason we are here. Mrs. Frazier is also present, all smiles. 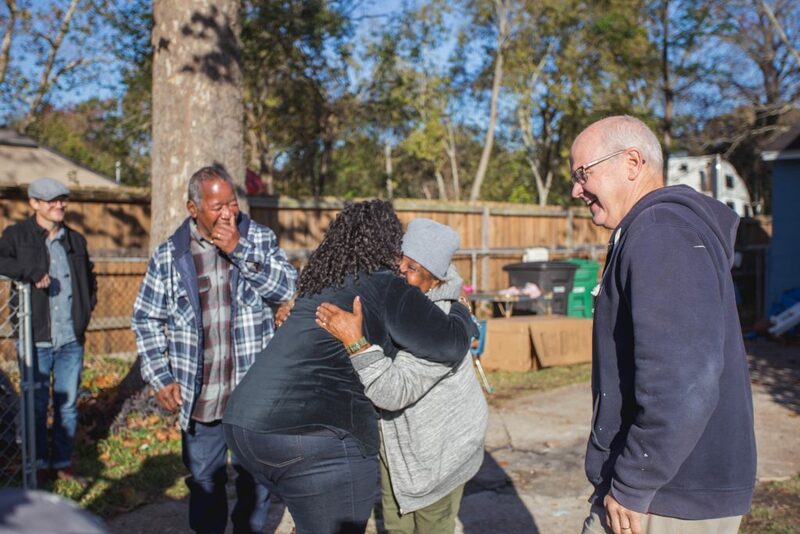 She runs a local non-profit (NNDRC) and is the one ensuring the Hutchinsons’ house, soaked by Harvey, turns back into a home. It is the Hutchinsons’ sycamore we stand under, and it is their house we stand in front of. A cute, blue house, colored the same as the crisp, cloudless, winter sky. We are all here because the Ohio team was suppose to go home yesterday, but their flight was canceled. 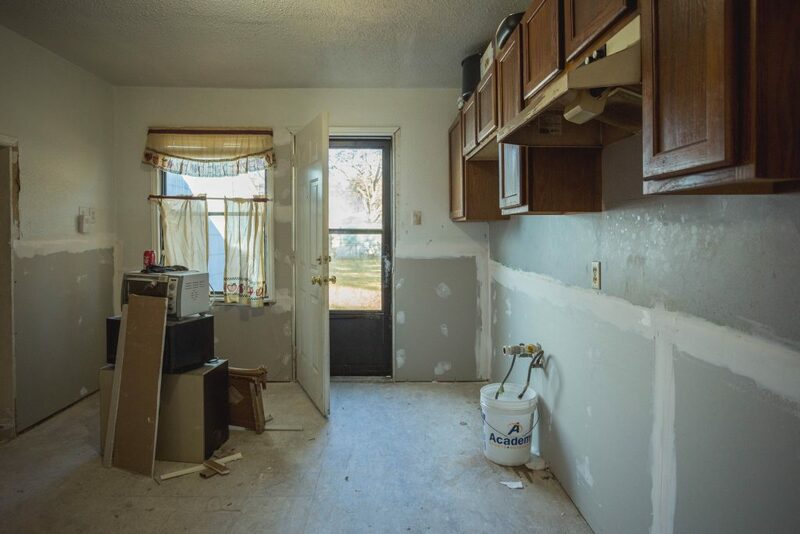 They are giddy about the change of plans, because it means they can surprise the Hutchinsons and install cabinets in the kitchen. They make the Hutchinsons stand beside each other and film them as they reveal the plan for the day. There are tears of gratefulness and joy, and many other unnamed emotions that surely have pooled up over the months of being without a home. Hugs are passed around and then the work begins. 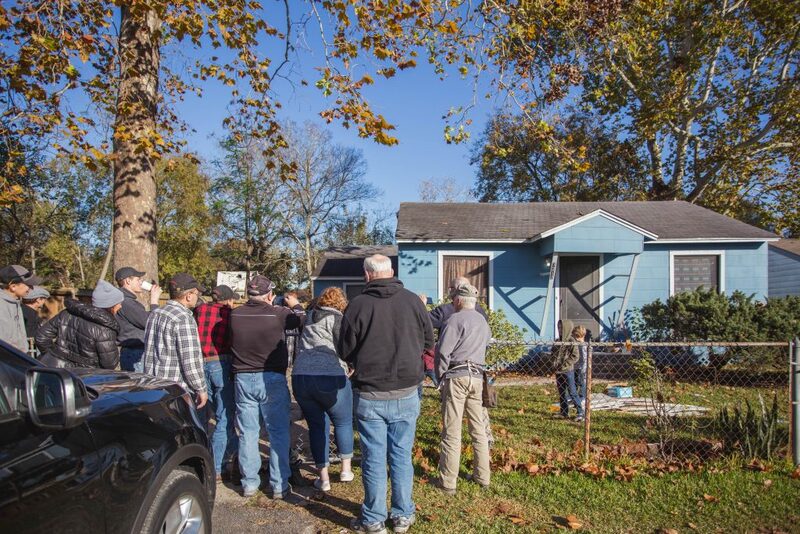 The Hutchinsons are still staying in a hotel FEMA is paying for until January, but every day they come back to their house and sit under that sycamore. 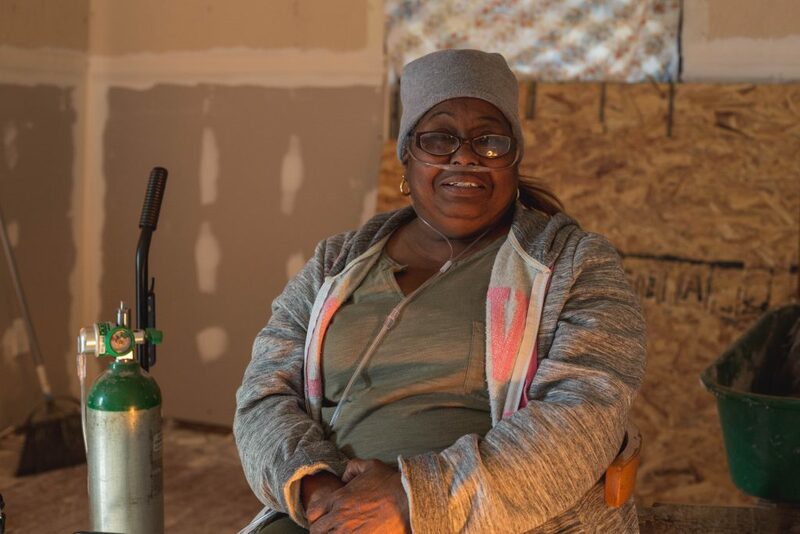 If you ask Nadean Hutchinson why, she tells you with a laugh, “This is my house, I still have to pay bills in it.” She talks about how she often barbecues chicken and sausage, feeding anyone who walks by and wants some. The house is still unlivable, though that state is quickly changing, but for these many months she and her husband were faithful to come back and continue doing life at their home, among their neighbors. We aren’t turning her house back into a home; it never ceased being her home and her neighborhood, because she never left it. Nadean lives in Trinity Gardens, part of Northeast Houston. 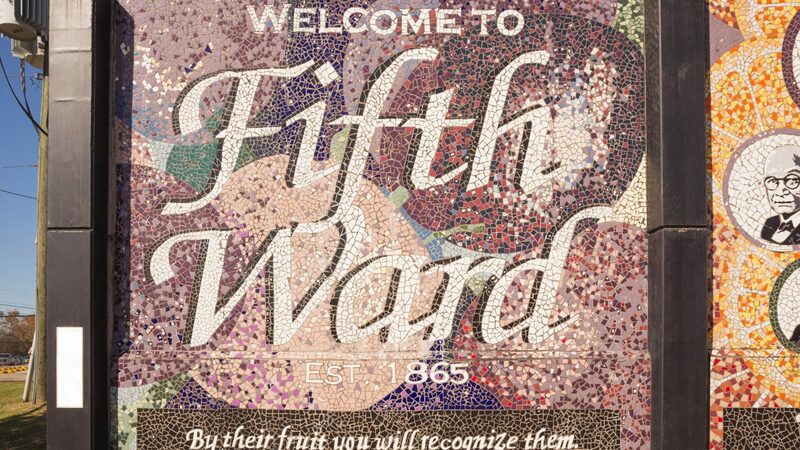 It is one of a number of neighborhoods that over generations flowed out of the Fifth Ward. 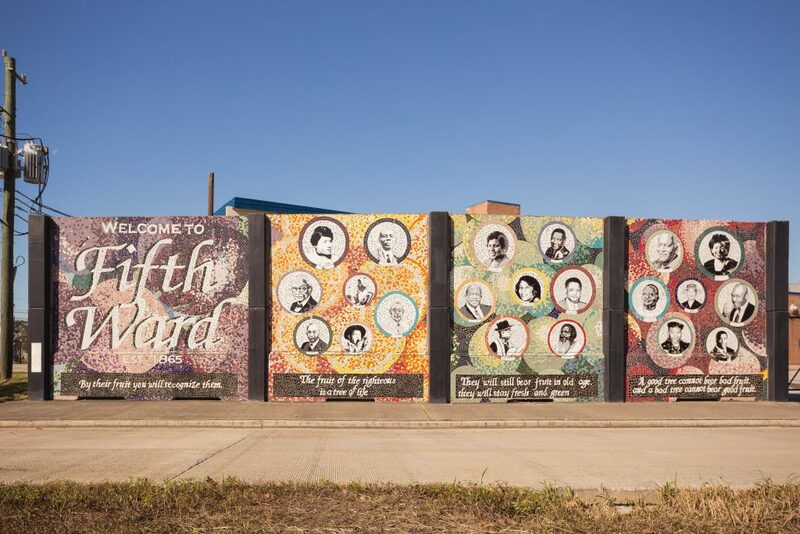 The Fifth Ward is a historic African American community, right outside of downtown. As of 2004, the median household income in The Fifth Ward/Denver Harbor was less than half of that in the Greater Houston Area. People without a high school diploma made up 57.2% of that area, while that was true for only 22.8% of the Greater Houston Area. 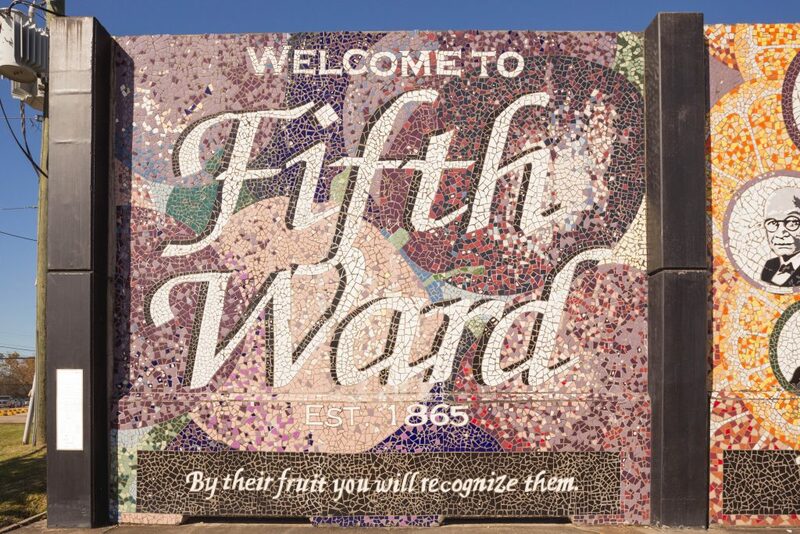 Stats by nature generalize, and of course there are significant differences between the Fifth Ward and the neighborhoods that have grown out of it, like Trinity Gardens, but as a whole, this area is historically underserved. 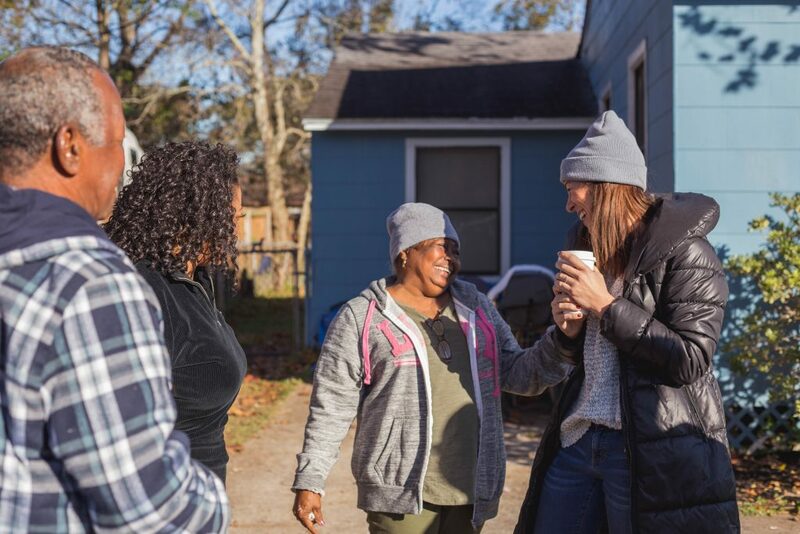 Khara, who first encountered this pocket of her hometown in the aftermath of Hurricane Harvey, describes it as “a community that is overlooked and gets lost in all the noise and busyness of Houston”. 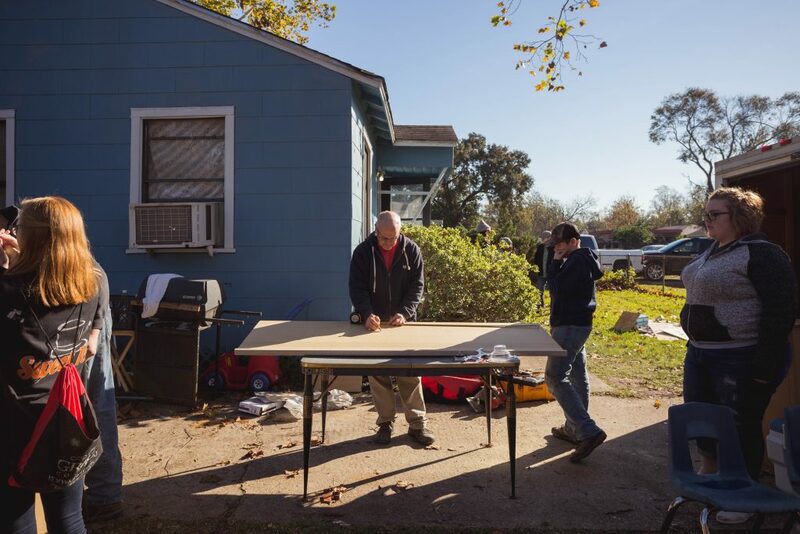 Like Khara, the Harvey relief work washed many of us into parts of our city we had never seen. 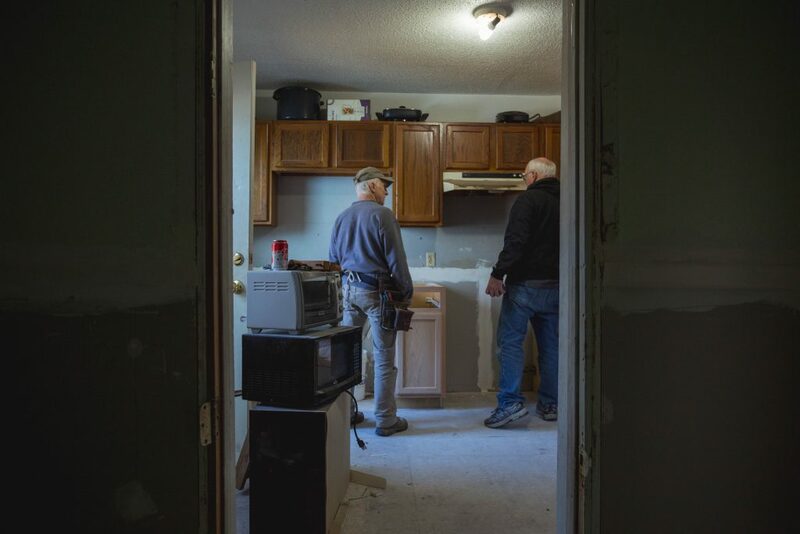 After the houses had been mucked and the intense, initial work done, we returned to our homes. The work in those remote parts of the city remained in our memory like a brief tour of duty in an exotic locale. While the work we did was good and beneficial, by itself it did not have the faithful vision that Nadean lives out when she returns to her home day after day, despite it being unlivable. Khara caught that faithful vision the moment she set foot in the area. She desires for this community to know that they are seen and they are worth fighting for. Her heart is on full display as she explains her vision: “My dream for this area is to fix poverty and all the problems that go along with that… I know that sounds idealistic but I also know we serve a big God who does the most miraculous things!” We, as a church body, want to follow and imitate Khara’s faithful spirit. To this end, we are dedicating ourselves to the Northeast area of Houston. 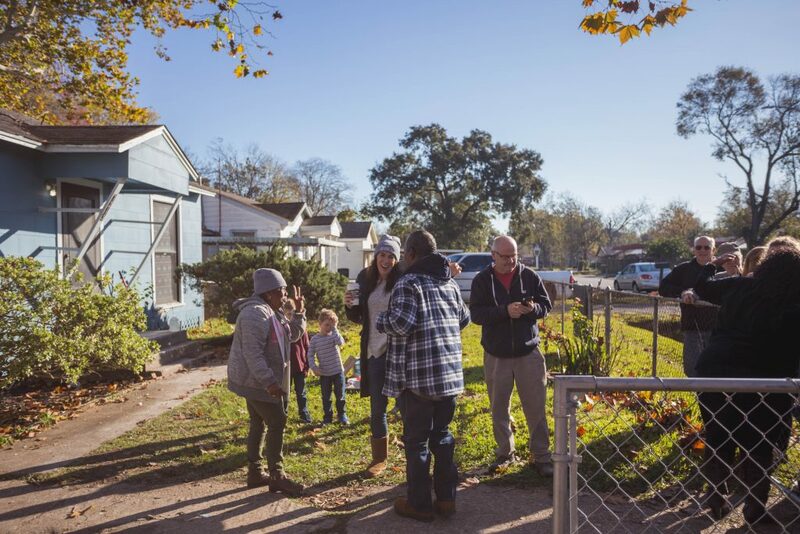 Led by Khara, we will faithfully care for it until every home is rebuilt, partnering with others just as we are doing with the Hutchinsons’ house. Eventually the area will look like Hurricane Harvey never touched it, at which point we will still show up and sit under the proverbial sycamore tree, because we are claiming this bit of Houston as home, a place that we will love and care for unconditionally.